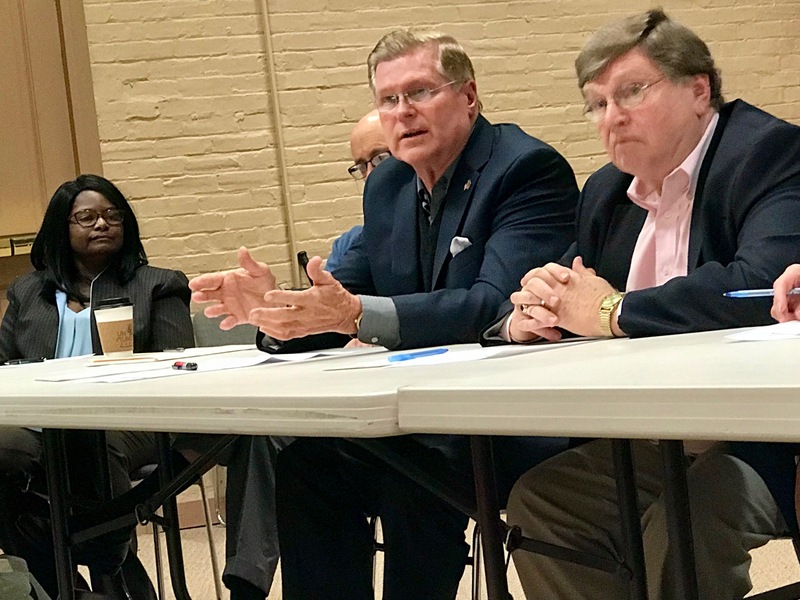 SPRINGFIELD, OH (April 3, 2018) — Springfield City and Clark County officials met today in a joint commission meeting to discuss the local impact felt by the opioid epidemic. The Springfield City Commission, the Board of Clark County Commissioners, local law enforcement and community resource officials shared the current status of the epidemic and strategies to address the matter in the future. Clark County Sheriff Deb Burchett, Springfield Police Division Chief Lee Graf, and Springfield Fire Rescue Division Chief Brian Miller reported that opioid overdoses so far in 2018 are dramatically less than at this time in 2017. At the current rate, overdoses in the City of Springfield will total 242 this year, compared to 795 in 2017, said Graf. The Springfield Fire Rescue Division has so far seen an 80 percent reduction in administrations of Narcan versus 2017, Miller said. Currently, there are plans for the Clark County Sheriff’s Office and the Springfield Police Division to combine their narcotics investigations resources to help address trafficking and related issues, said Burchett. Several other topics discussed include more local treatment options, more prevention education in local schools and increased opportunities for people in long-term recovery seeking education and employment. Attending the meeting were: Springfield City Mayor Warren Copeland; Springfield City Commissioners Joyce Chilton, David Estrop, Kevin O’Neill, and Rob Rue; Clark County Commissioners Richard Lohnes, Lowell McGlothin, and Melanie Flax Wilt; Clark County Sheriff Deb Burchett and Major Andy Reynolds; Springfield Police Division Chief Lee Graf; Springfield Fire Rescue Division Chief Brian Miller; Clark County Auditor John Federer; Clark County Administrator Jennifer Hutchinson; Clark County Assistant Administrator Michelle Noble; Springfield City Manager Jim Bodenmiller; Assistant City Manager and Director of Economic Development Tom Franzen; Deputy City Manager Bryan Heck; Springfield City Law Director Jerome Strozdas; Ruth Shade, Emergency Department Director, Springfield Regional Medical Center; Greta Mayer, CEO of Mental Health & Recovery Board of Clark, Greene & Madison Counties; and Eric Mata, Life Coach at CareSource.